When you registered for Walk With Me, you automatically received your own fundraising website. These online fundraising tools and social media will help you spread the word and maximize your fundraising impact. Customize your page and share your link. Encourage everyone you know to visit your site, learn more about your commitment to take on disabilities and make a donation on your behalf. Use the email templates provided in the Fundraising Center to easily send emails to your friends, family and co-workers. Make the first gift yourself to show your commitment. Use your computer. 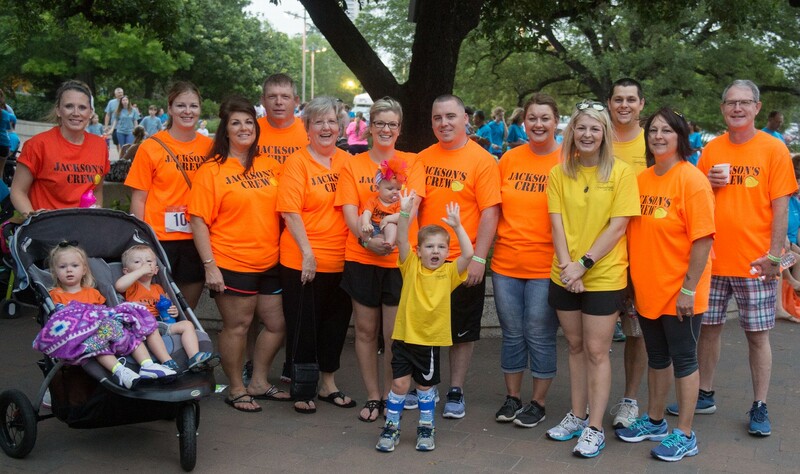 Take advantage of your Fundraising Center by personalizing your Walk With Me page; then, ask your friends and family to support your efforts by using the email templates provided in your user portal. Send a personalized letter to your friends, family, colleagues and businesses you frequent (Write everyone!) asking them to support your fundraising efforts so you can help make an impact on thousands of families living with disabilities in the Greater Houston area. Display a poster at your workplace, school, gym and organizational clubs to promote your involvement in Walk With Me. For pre-printed Walk With Me collateral, contact Madison Shofner. Raise money at your workplace. Don't be shy about asking your company to sponsor. When people see your co-workers, managers and executives supporting your efforts, they will want to pitch in. If you work in an office and have access to your company's email, voicemail or computer bulletin boards, use these methods of communication to spread the word about Walk With Me. Recruit your friends, family and other sponsors. Ask each person that has donated or joined your Walk With Me team to recruit at least one other person to walk and make a donation to help reach your fundraising goal. Host a shindig and ask everyone that attends to make a donation at the door. Every little bit counts! One walker did this and raised $2,500 in one evening. Or, host a bake sale at your business or organization. Find out whether your company has a matching gifts program to double the impact of your gift.